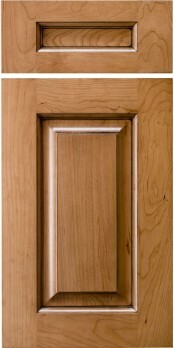 Normandie is a wide framed, deep profiled door. The excess 1/4″ thickness in this door is towards the face of the door, meaning the profiles are deeper and more distinct as the panel is 1″ raise. Cross section below is as an example only. Profiles you may choose will affect final look.